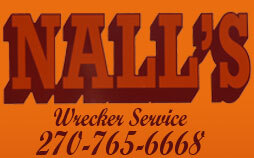 Nall’s Wrecker Services is a family owned and operated towing company located in Elizabethtown, Kentucky. Nalls Wrecker Services not only services Kentucky but many surrounding states. We offer Fast Friendly Service, Emergency Road Service, Lockout Service, Tire Change, Jump Start, Vehicle Breakdowns, Dealership Service, and 24/7 Towing. Nall’s wrecker service opened January 11, 1976 at Gulf Service Station in Vine Grove Kentucky. In March of 1978 Nall’s Wrecker service moved locations to the Chevron Service Station on West Dixie in Elizabethtown Kentucky. In 1981, we expanded our services by adding heady duty towing. Nall’s Wrecker service purchased a second location in 1986, at McCamish Drive in Elizabethtown. In 1990 the service station was closed and all business combined to the location at MaCamish Drive and that is still where the business is operating today. 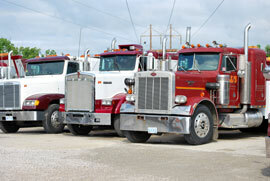 Nall’s Wrecker Service has been servicing customers for over 33 years in the Elizabethtown, Kentucky area. Contact Nall’s Wrecker Service for help with vehicle breakdowns, tire changes, lockout service, emergency road side assistance, and 24/7 towing.